A unique opportunity awaits those who want to explore their life and landscape, to learn by doing, and to be a part of the change we all desire. 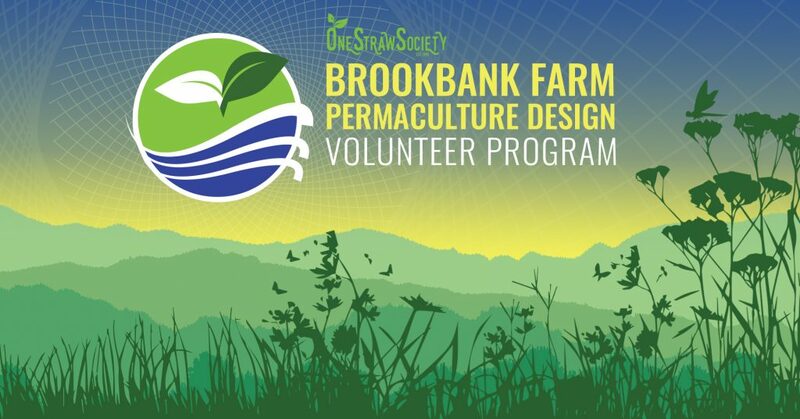 Join us across the growing season for a hands-on, once-monthly volunteer work day at a fully operational permaculture commercial farm complete with food and fodder, plants, orchards and animals. See how Brookbank Farm’s new generation, on-demand CSA program works, proudly offering the Sunshine Coast community with a wide variety of fresh organic food. We’ll learn about the care and use of land, how to build a fence, provide for animals, and of course, growing our own food. Brookbank Farm is a heritage small farm paradise that has provided food for the community of Gibsons and environs for over a century. Eight acres of rich soil, with an abundance of water and sun, and only the gentlest slope make for almost ideal growing conditions. Paul and Dawn Myers purchased the site in 2014. As with almost every small farm in our country, Brookbank began to collapse under the weight of industrial agriculture in the 1980’s, until it fell into near disuse. The vision of Paul and Dawn is to both recover the wisdom of its past and to incorporate the best practices of today to restore and renew Brookbank and to make it a model of what is possible for generations to come. Those ‘best practices’ include applying regenerative and permaculture methods to the land. Some of the permaculture-inspired changes at Brookbank to date include the introduction of more perennial food crops over annuals, adding as much diversity as possible through polyculture gardens. Other practices include the reintroduction of livestock as integral to the ‘farm circle’, transitioning to no-till soil preparation, planting hundreds of new fruit, nut and native trees for reforestation, development of ponds and waterways, that in time will ensure the land remain a healthy and self-sustaining ecosystem. It is a slow process, a labour of love, but one that has already begun to show great promise. Today Brookbank produces over 75 varieties of fruits and vegetables, ethical meat, eggs and poultry, and value-added farm goods and preserved foods. Brookbank also operates the Gibsons Farm Collective, and its unique CSA on-demand enterprise. Paul, Dawn, and Delvin offer to make Brookbank your ‘classroom’, an observable, tactile, permaculture work-in-progress. But more than that, if you desire to sink your hands into soil and to see concepts turned into realities, if you want to give something back to the community, if you share a passion for the resurgence of small local farms everywhere, or if you simply love a day of fresh air and physical work, then register today. Come to at least 7 full day sessions and write a 1 page learning report at the end of the program to receive a Certificate of Completion for a ‘permaculture farm program’ and a letter of reference for your resume. Paul and Dawn, and mentor/teacher Delvin Solkinson offer a great opportunity: to make Brookbank your ‘classroom’, an observable, tactile, permaculture work-in-progress. But more than that, if you desire to sink hands into soil and to see concepts turned into realities, if you want to give something back to the community, if you share a passion for the resurgence of small local farms everywhere, or if you simply love a day of fresh air and physical work, then register today.